Okay, so on my search for the perfect coding bootcamp (I’m just going to refer to it as CB) last year and now again this year, I used/am using several different websites. So today we’ll be looking at each of these compare/finder websites for CBs by analyzing the prominent Hack Reactor bootcamp on each website. For each of these sites, I’ll be annotating the design interface directly with my personal critiques (if I have any to give) just because there’s always room for improvement, and you know, why not? Green annotations = good , red = bad (typical). I think these key 3 criteria are the minimal requirements each great CB website ought to aspire for. Mind you, this is just for the overall web site, this isn’t for the CBs themselves, where different criteria would obviously apply like teacher quality, ROI, brand, peers, and so forth. When I’m searching for a CB, It should be easy, I shouldn’t be wondering how to do a specific task because of the design, and it should give me enough high quality background of the bootcamp. This is so that the user feels like they don’t have to do any extra work when it comes to planning where they’re gonna change the rest of their lives for the next few months. Made with love on Byword 2.
and a big woo-hoo 🎉 for other resources! 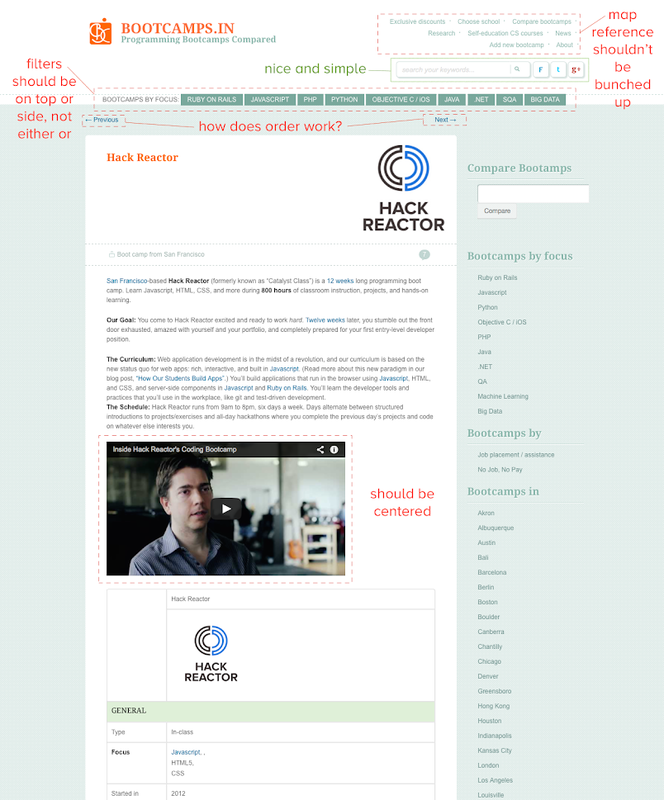 This is the page for HackReactor on Bootcamper. Bootcamper was founded by Aleksandr M., who according to his Twitter, is “a self-proclaimed code-penguin because monkeys are too cliché” 😆 . Bootcamper wants their website to be the “one-stop resource for all things bootcamps” and “wants to make it easier for everyone to find, learn about, compare and share experiences”. using the Disqus platform was a great idea! 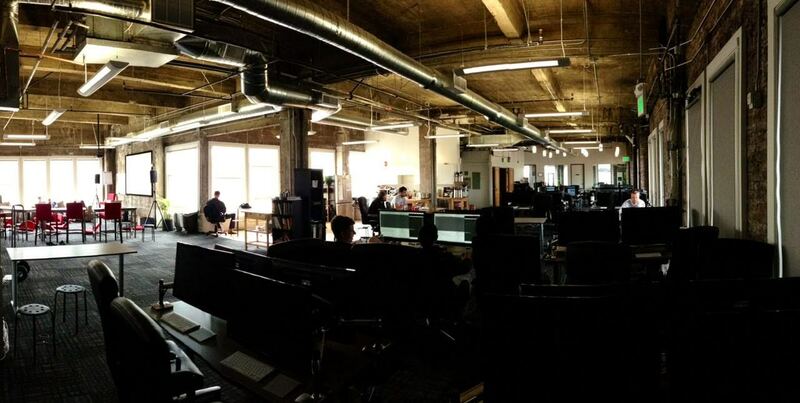 This is the page for HackReactor on Bootcamps.in. This website was founded roughly 2 years ago, some time after November 2012, which is when the founder, Dmitri, unfortunately did not get accepted to App Academy. Dmitri then came up with the idea to create Bootcamps.in so that potential students can compare programming schools side-by-side. 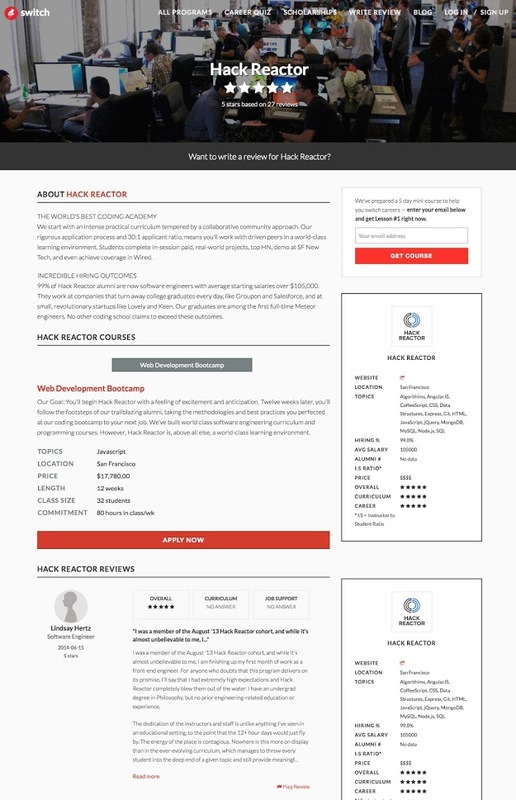 This is the page for HackReactor on Course Report. CourseReport is a relatively new CB finder that was founded just last year in 2013 by some alumni from LivingSocial. This website features reviews, application tips, founder/student interviews, and resources to help the hopeful bootcamp participants choose the bootcamp that’s right for them. 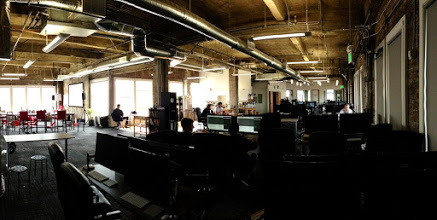 This is the page for HackReactor on the Thinkful Bootcamp Finder. Thinkful Bootcamp Finder branches off of Thinkful, a company founded 2 years in 2012 that has become an increasingly popular online learning for those who want to learn how to become a web developer but don’t want to move or pay LOTS of that cash to do so. no other website offers a chance to look at “Student Projects” or some of the actual “Hiring Partners” for the bootcamp, which is pretty neat! 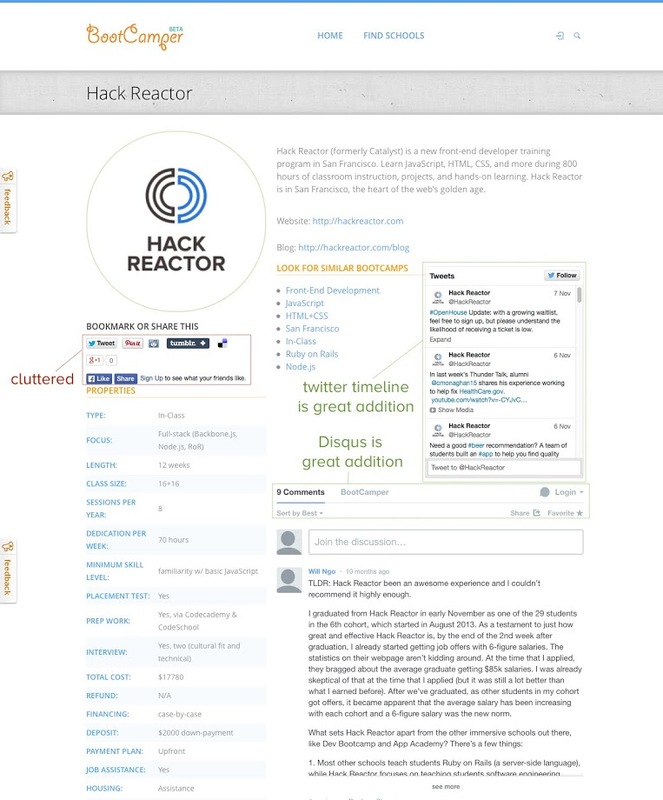 This is the page for HackReactor on Switchup. An alumnus of Launch Academy in Boston, Jonathan Lau created Switchup, which aims to ease the process of anybody researching or looking to switch their careers into tech through a coding bootcamp by providing admissions information, scholarships, financing, and mentorship. they offer a career quiz to help get you started (apparently I’d be great as someone in back-end - hehe)! this actually makes scrolling down fun even if you’re just browsing! all the filters can be used at once to speed up that search and get to researching! okay, so why would anybody want to search for a 1-star or 2-star rated bootcamp again, just for funsies? Some CBs have it where you can quickly apply directly through their sites, others have more interactive applications & pre-work through coding challenges like with MakerSquare, HackReactor, Flatiron, Fullstack, etc., and still others might use hack_app, which is an application portal dedicated to making it easy for users to research and apply to CBs. So far, it only has 28 schools participating, but it has a great UI/UX so if you really want a swift and easy app process, I’d go with hack_app. This is great not just for minorities interested in tech, but just for anyone who wants a really great layout of what’s recommend before applying and interviewing for a software development internship. This sort of logic applies for competitive coding bootcamps as well, so get out there! :) The founder of the organization, Tristan Walker, is also friggin’ awesome. 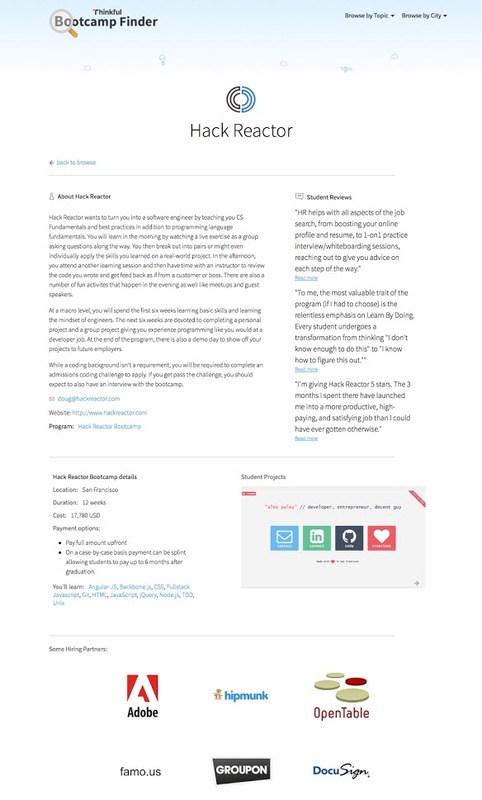 I think a great idea when it comes to student reviews for each bootcamp is being able to produce some sort of web crawler that scans Yelp, Quora, Google+, among other popular rating sites and putting it all into one place for everyone to look at. As long as the UI/UX end up meshing well together, that would prove to be really beneficial. For the time being though, we have to stick with reviews (some replicas) being scattered through the web for each individual bootcamp.